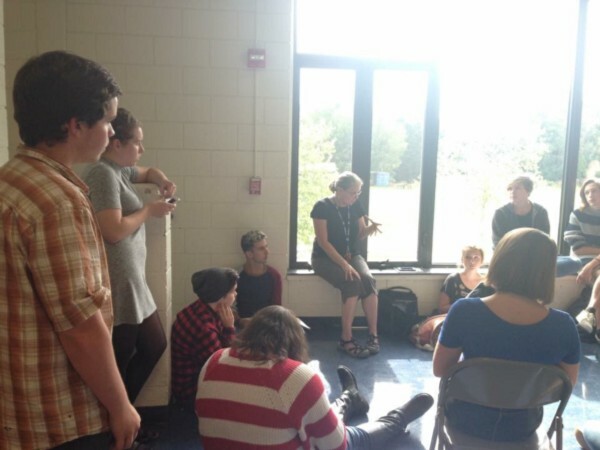 Rehearsals for this year’s musical, “Sweeney Todd,”are in full swing. As the cast of 29 actors have been diving into intensive music rehearsals to learn their parts, the technicians — the backbone of the physical work and aesthetic beauty that goes into theater production — have been working diligently behind the scenes. The technical work involved with putting on a musical of such complexity is often overlooked in comparison to the talent onstage. But the pre-production, rehearsal, and performance processes for the technical crew are critical to the survival and deliverance of any theatrical story. Director: The person who is responsible for the overall vision of the entire production. This includes all technical elements (lighting, costumes, properties, sound, set), and the direction of the actors in terms of movement and deliverance of lines. Technical Director: The TD is the head of the entire technical team and is responsible for maintaining the Director’s vision through the work of the crew. They must be knowledgeable about all technical elements in the theater space/stage and oversee everything that the technical crew is working on. 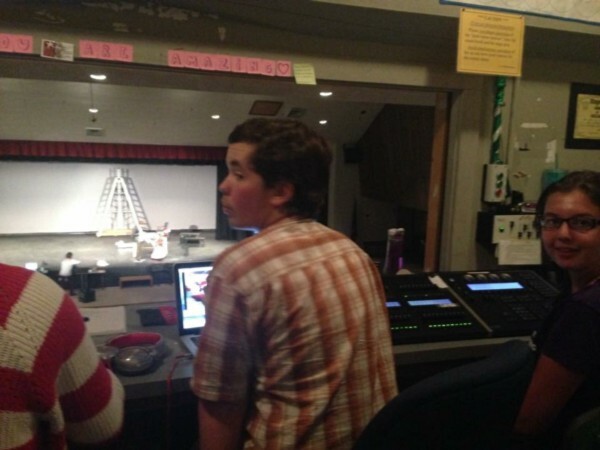 Stage Manager: The Stage Manager (SM) works closely with the Director and Technical Director to fully understand the vision of the play (much like the TD), and is responsible for making sure rehearsals and performances run smoothly. Some of their many responsibilities include taking “blocking notes,” extremely precise notes which identify where every actor is onstage at all times, which are kept in a “prompt book” — the SM’s script which holds all their rehearsal notes. During performances, the SM must “call the show,” which consists of signaling to the lighting and sound designers which cues should happen at certain points in the script throughout the entire show. Lighting/Sound Designers: These people are responsible for closely analyzing the script and developing lighting and sound cues that both follow the playwright’s vision, but that also stay true to the director’s unique vision. They must work with the Director and Stage Manager to write cues which are programmed into the lighting and sound systems for performances, which the Stage Manager will cue during the show. Props Designers: Similar to lighting and sound designers, props (properties) designers must analyze the script for any references of props to be used in the show. They must use the theater’s resources in order to find the props the script demands, but also must be skilled in finding a prop from an outside source and/or making the prop by hand — if not available in the theater. Costume/Makeup Designers: These designers must know the script and characters well, much like the actors, in order to design and create costumes and makeup effects that highlight the characters’ personalities. An important part of this technical work is being aware of the lighting that is used in the show, as it can both accentuate and/or distort the look of the costumes and makeup, depending on the fabrics and colors being used. For example, white fabric is very bright and overpowering under standard stage lighting. Set Designers: Set design involves a lot of mathematical, artistic, and spacial skills in order to create a set that is both secure for the actors’ safety, but that also tells the story of the play. There is usually a designated set designer who is responsible for the design, but a larger set crew comes in later in the rehearsal process to help the designer build and secure the set.